My family and I sailed with Daniel and Christie and had the most amazing time! As a crew they were simply amazing-they were knowledgable, professional, and courteous, as well as extremely easy going and fun-a perfect combination for this type of adventure! They were always willing to accommodate us-serving amazing drinks and meals, as well as becoming our friends! It was truly a pleasure getting to know them. The meals were absolutely amazing-each day got better than the next! We also had a fun time snorkeling, kayaking, exploring the islands, fishing and swimming. We had the opportunity to swim with sharks and manta rays (an excursion that was coordinated by the crew)-a truly incredible experience. The boat itself was also beautiful, and was kept extremely clean and tidy. We definitely had enough space. We always felt safe on board due to the great crew. Daniel was an expert captain, and Christie was an expert chef-a great combination. The crew worked hard to ensure we had an itinerary that matched our interests and plans. Each day we would get done with snorkeling and be presented with fresh fruit and drinks. For lunch and dinner we would eat fresh caught fish. Overall, we are so so glad we went on this vacation and we will be returning in the future! 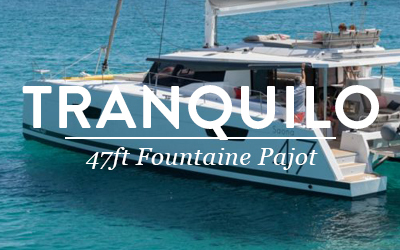 My wife and I got married late October 2016 and booked a charter through Belize sailing vacations for 4 nights, 5 days on a 43' Fountaine Pajot catamaran, one of many in the fleet BSV offers. If you're reading this and considering booking, perhaps you had the same concerns as me (at least if you are inexperienced with this sort of thing as I was). Being my first charter booking, and of course doing most of my research online, my biggest concern was with making sure what was advertised and represented was in fact what we'd get as an experience. Happily, I can say that this was in fact the case down to every detail. Everything went exactly as advertised, and in line with expectations. 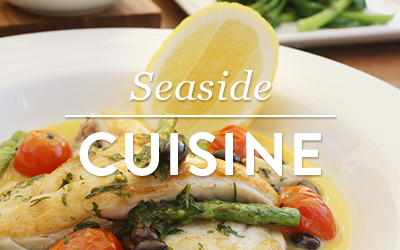 BSV are real people with a real attitude of hospitality in mind. When I initially booked, I spoke directly with the owner of the company, and he was able to reassure me not just with more information about booking and what to expect, but was willing to satisfy some of my curiosities about how the business worked and investment possibilities with chartering, etc. 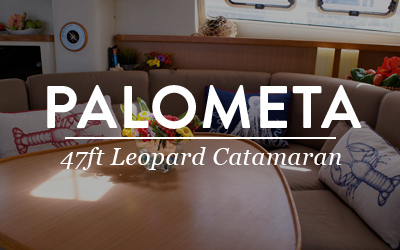 A few other major concerns in booking the catamaran was the quality of the boat, and who would crew it. 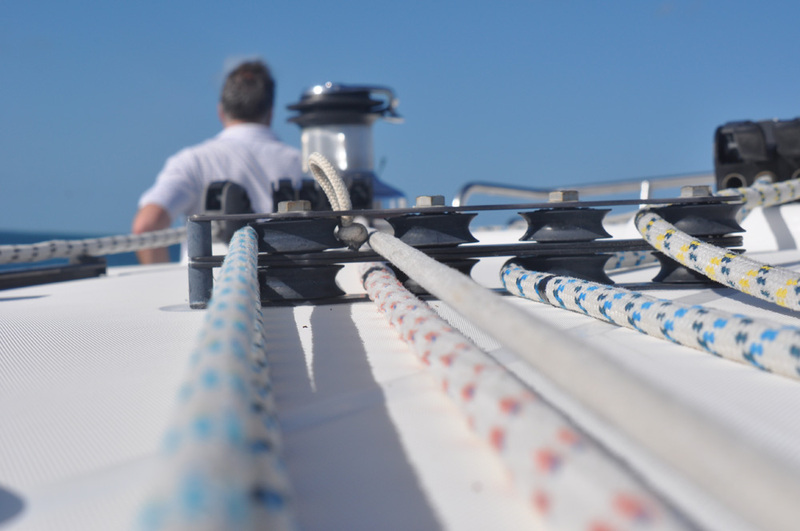 BSV has a lot of boats to choose from in the fleet - if you book with enough advanced notice, you can pick what you like and the team will explain exactly what you're getting. 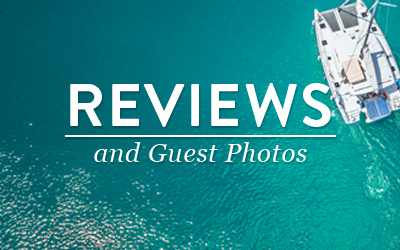 We got photos of the boat in advance, and knew what we were choosing to pay for. We chose an older boat - we didn't want anything really fancy as I wanted to know more about actual sailing and sort of "see" how everything worked with the sails, anchors, navigation, etc. Our boat was sort of the "Toyota 4runner" option, which is exactly what we wanted -rugged, functional, and built to sail. BSV has a lot of other fancier boats too, if that's what you're looking for - we got to tour a beautiful Lagoon 50' that was a lot newer. It was amazing, but glad we chose the boat we did - we might try the newer boats next time. We also very much wanted to be sure we were crewed with a professional staff that would be aware of the context of this trip. 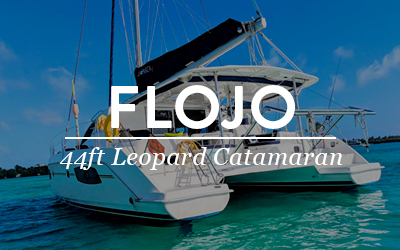 It was just my wife and I, and stay on the catamaran was part of our honeymoon plans. We knew there would be two crew (captain and chef), and then just us, so it was extremely important that we got GOOD people, who we could interact with/get along with, and who knew how to be professional. Suffice to say, we got that, and much more. Our crew were Daniel and Ellen, and both were absolute professionals, and extremely humble, down-to-earth people. Technically, we just paid for a crewed boat, but in actuality we got people we could sit down and eat with, and laugh with, and go out on adventures with, and get to know as new friends - so much so that we would definitely come back, and having the same crew would be a large reason why. 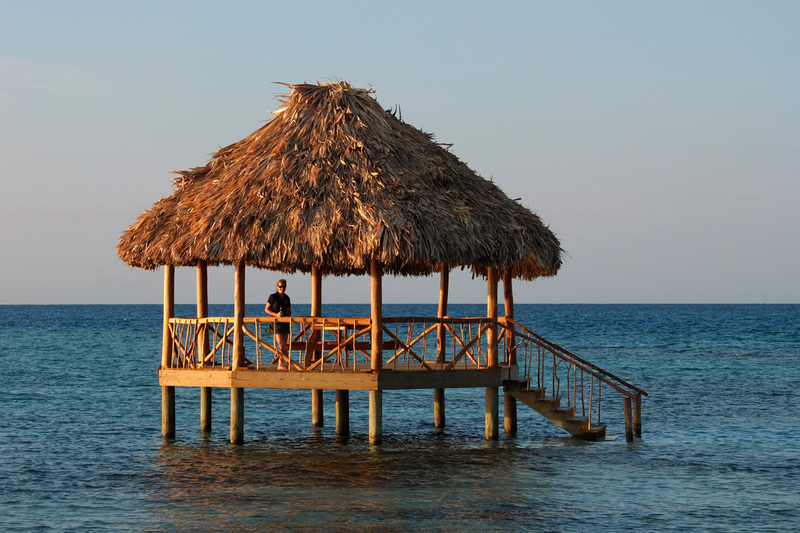 I had a lot of questions about the boat, and my wife wanted to know all about the local areas and different cayes. 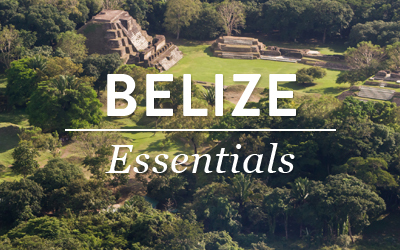 One important thing to note - both Daniel and Ellen are locals, born-and-raised in Belize. This may not sound like a big deal, but it really makes the trip that much more interesting and comfortable, because there isn't anything they don't know how to do or to take care of, and they know all the right people in all the right places. At one point, I'd realized I had a set of car keys that needed to get all the way back to the resort hotel (Las Terrazas) where we got married. Imagine, there we are out in the middle of the water on a boat, and I've got car keys that need to go 30 miles back up the coast. Daniel took care of it - he took the dinghy into San Pedro early the next morning and had his own brother figure out how to get the keys back to my father-in-law! Daniel is an expert captain, and knows the entire coastline like the back of his hand. We stayed in a different spot each night, and never bothered with the marinas - everything we needed was right on the boat, and we just spent our time hanging out and reading on the trampoline at night, listening to the water lap up against the boat hull, and enjoying the breeze. We stayed in the mangroves and saw the dolphins and manatee swim right up to the boat, we visited several cayes, and basically just got to see all of the coast. 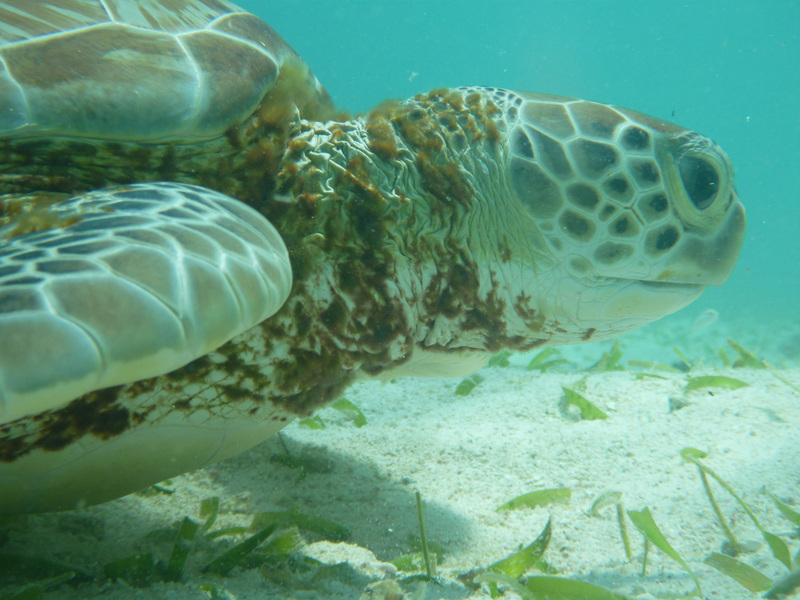 We even went to shore to see a local aquarium and also checked out the town of Caye Caulker. The food and service was amazing - Ellen is a professional chef, and presented us with local fare and different dishes (including fish/lobster that I (ahem, I mean Dan) would catch that day:)! Preparing meals that were at the level of quality we had takes time, and Ellen knew how to work in the kitchen, and was pleasant and approachable the entire time. Really cannot say enough about this crew - it's simple for us - put us around people that have some class, and know how to be down-to-earth, and kind, and we'll enjoy it. And Dan and Ellen absolutely knocked it out of the park. If you book, request them and you won't go wrong. Handing those guys a cash tip at the end of our trip for all of their efforts was some of the best money I've ever spent. 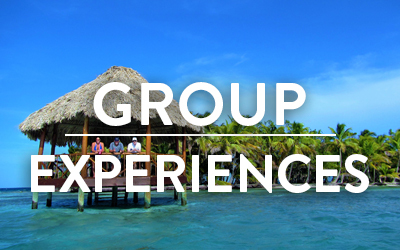 Please feel free to contact Belize Sailing Vacations if you need a personal reference or recommendation - they should be able to put you in touch with me via phone or email. 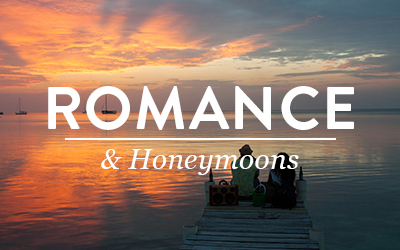 We honeymooned with Captain Cliff and Chef Christy. 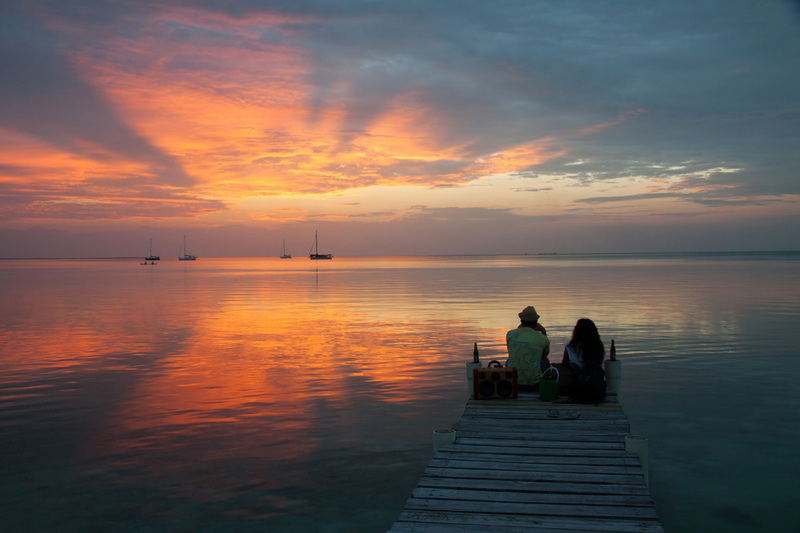 If you are hesitating to take a trip with Belize Sailing Vacations, you shouldn't! It was without hesitation, the most incredible experience we've ever had. We are both past cruisers with large cruise ship lines and will never return to cruising after our personalized experience aboard the Aubisque. 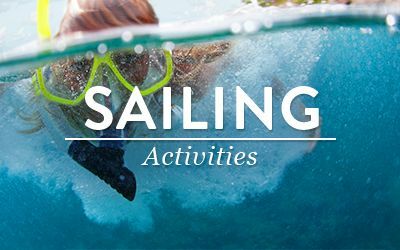 In the first 24 hours, we had done more than all of our cruising experiences added together: sailing, swimming, snorkeling, spear fishing, kayaking, conch diving, fishing, beach combing, site seeing... And that was just the first day! The trip continued with amazing experiences and 5 star meals. Of course the alcohol is all included and free flowing so that was a continued plus through out the trip. The trip started great with a man who they arranged to pick us up from the airport. The drive was short but full of information about the area and tips about what to eat and top sites to see. Every question we asked was met with friendly answers. Then we arrived at the boat where Cliff gave us a bucket for our shoes and Christy put a drink in our hands. We got on and took a tour and got a run down of the itinerary. Then we were off! 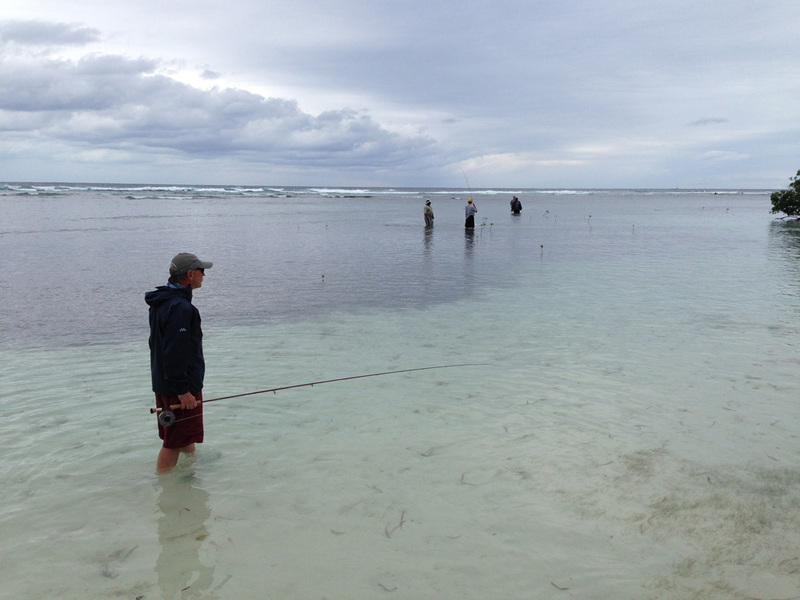 We spent 4 days visiting small islands, fishing and snorkeling along the way. He introduced us to a few locals and helped us find the best places to shop or things to see. Cliff spent some time teaching my husband how to sail and aspects of navigation. Every dinner was candlelit and romantic. Every aspect seemed perfectly personalized to our wants for the day. It was so much better than any vacation we've ever been on and in the end, the strangers you meet at the dock, become new friends. The only regret we have is planning a short trip so we could spend time on land! When the end came, we didn't want to get off the boat... So much so, that we are planning another (and longer) trip with them this winter! Again, if you have any hesitations, put them aside and book with them. They will NOT disappoint. 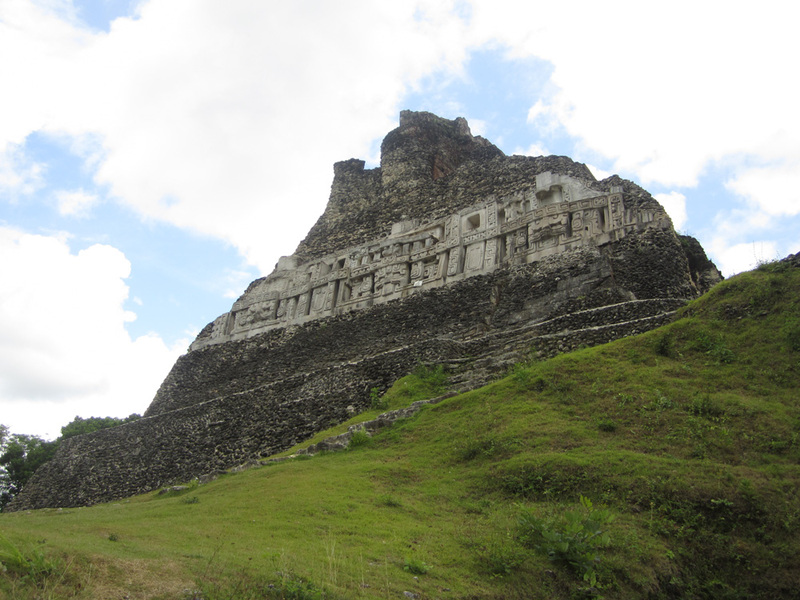 It was a wonderful experience, Belize is a lovely country with tons to see and do. Our trip was awesome, everything came up as planned. The crew was superb!! Casey our Captain and Christie the first mate went the extra mile for us. The boat was pristine with everything in excellent condition. Thanks to all the team for an unforgettable holiday. My husband and I plus our two grown children and their partners sailed on the Palmetto with Jessie (captain) and Karla (cook) for 6 nights in January 2018. It was an amazing vacation. The food was outstanding and Karla was able to cater to our likes and dislikes, substituting chicken for the person that did not eat fish and providing gluten free options for two others. The alcohol was flowing and all included. Jessie provided numerous options of places to go and things to see. The accommodations were super comfortable. We sailed, snorkeled, explored a couple small towns and mangroves, also used the kayaks and stand up paddle boards. We played games at night and always enjoyed the sunset. I would definitely do this trip again and highly recommend it!! We are a family of 4 who decided that we wanted to try something different for our vacation this year. 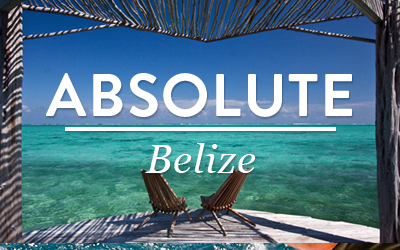 We booked our vacation through Absolute Belize who handled our entire booking from start to finish. I was completely satisfied with our trip. All questions, all details were taken care of ahead of time. We stayed 3 nights on land in the beginning and then we were taken directly to the marina to embark on one of the most amazing trips. We were met at the marina and all we had to do was unpack.We truly packed too many clothes for this trip and had to leave most of what we brought in a locker at the marina. Don't make my mistake. All you need is your swimsuit, a cover-up and a few dry clothes for evening. We loved this trip! I woke up every morning and took a look at the beautiful water and said," Ah, just another day in paradise!" Our captain, Ellis, took care of all the sailing and points of interest and our cook, Ashanti, was a marvelous cook! She cooked the most delicious meals and snacks. My husband asks me every week, when are we going back! We loved this trip! 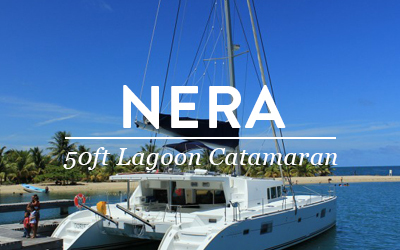 If you want to be completely relaxed and enjoy boating, being in the sun, and looking at the most beautiful water each day, this is the trip for you. We sailed on the 47' Luna Sea and had a blast. 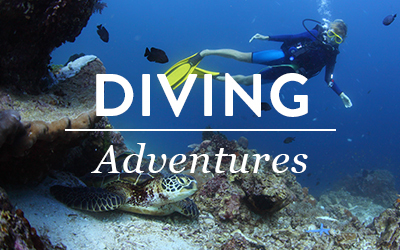 Snorkeling, fishing, sailing, exploring, and eating (oh the food!!) were all spectacular. Ellis and Clodia made sure we had a great trip. Many thanks to both of you. 1 person found this review helpful I booked a boat to sail for 4 nights after our wedding and it more then exceeded our expectations. First off, the boat was huge, clean and well stocked with fun. The captain, Danny, gave some great suggestions for places to sail/visit and was very knowledgeable on what to do that'd fit our interests. Sarah kept our drinks and bellies filled all day and night. Every single meal was fresh, delicious and had a huge variety to keep our taste buds dancing. Then, to top our trip off, we hooked a very large Mahi-Mahi while trolling. The fish shortly became a sushimi snack and tuna steaks later for dinner. I would recommend this type of vacation for anyone who's bored of the typical resort and have an adventurous side, without compromising luxury. This was an ideal family getaway. 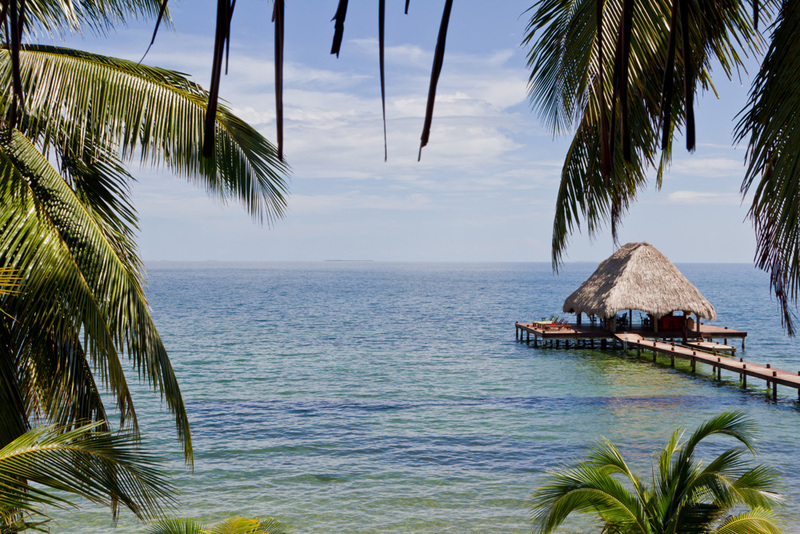 Best way to see Belize as the sea is really what you are there for....It seemed the towns had limited in the way of luxury vacation spots ....Belize by yacht was luxury, effortless, exciting and relaxing . Our family really enjoyed each other in the stress free atmosphere. Excellent Captain Jesse , was knowledge, calm and confident . We dubbed him Captain Cucumber for his" calm as a cucumber" demeanor throughout . Amazing Chef Sabrina ( Breezy) was just outstanding -always accommodating our picky eaters and she was the most upbeat, positive and energetic hostess with the mostess. Her abundant food was incredibly, creative and always a hit even though we had many food restrictions. Both crew members where always attentive when necessary but kept their distance when appropriate. We would love to be able to come back and sail again with this outfitter... might have to break our rule of never going back to the same place twice . Our recommendation is to bring extra towels, lots of books and games , extra bathing suits and flip flops with White soles otherwise dont bother bringing any else- its all taken care of . 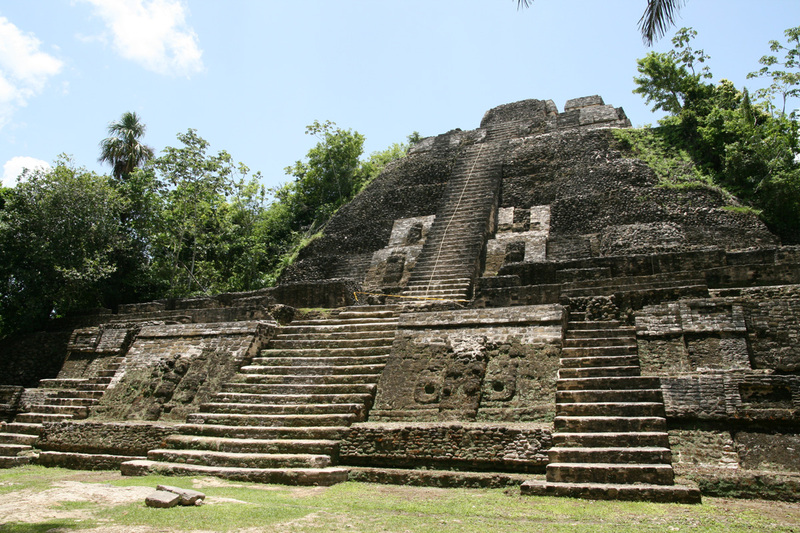 We have just returned from the most brilliant eight night charter with Belize Sailing Vacations. Our skipper Jessie and cook Karla made the trip for us. Prior to our arrival, we completed our form stating we wanted lots of sailing, empty remote anchorages with loads of snorkeling. As we boarded the catamaran Jessie confirmed if we were still happy with our choices, I said yes and before I had even gone below we were under sail heading to the Southern Cays. Jessie is a very experienced skipper and he took us to places we only dreamed of. Karla's cooking and hosting was so wonderful and seemed effortless. Both Jessie and Karla gave our children a wonderful holiday: delicious meals and copious snacks on the foredeck, endless guided snorkeling with spear fishing, wake boarding behind the dinghy, and the most brilliant fishing. Nothing was ever too much for Jessie and Karla, they were totally professional, and at the same time friendly and enthusiastic. We will be back with Jessie and Karla next December. Belize Sailing Vacation not only met but totally exceeded my expectations on what my honeymoon was going to be. Before even stepping foot in the beautiful country of Belize I knew this was going to be a great trip thanks to Mandy, who worked with me tirelessly to make this dream a reality. She responded to every email immediately, scheduled pick up from airport, all the essentials my husband and I requested; it was a true pleasure working with her to make this happen. We were on the Sea Dale, which was a perfect size for a solo couple; we had plenty of room and never felt crowded the whole week on board- it was so nice having our own side of the ship with a nice size bedroom, bathroom, and shower. The crew was amazing- Captain Wayne "1/2 inch" was so knowledgeable about the ship and the waters- he grew up on the sea and you can see his passion for what he does. He took us to some of the most amazing islands, snorkeling everyday in the most beautiful waters I have ever seen (and I have seen a lot)- he also has quite the sense of humor and loves fishing, which was a huge plus for my husband. Our on board chef was Kerrie from Philadelphia, her food was a dream. There is not a single meal I was not fond of, and I still dream of her banana/coconut curry! 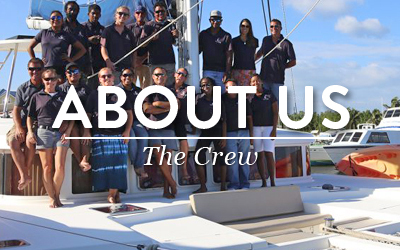 If you have the pleasure to sail with this crew, you are one lucky group! We didn't venture off the boat too much, we felt so at home there and really loved the life of a sailor for the week- but there is plenty to do if you do decide to venture off the boat. On our last day Kerrie arranged for us to be picked up at the marina and taken on a day excursion to the zoo them cave tubing. Both were so much fun, the gentleman they set us up with was so informative, knew every animal in the zoo (with incredible accuracy on his birds), and knew all sorts of fun stories about the Mayans while we were tubing. Overall, this was a trip of a lifetime, it was truly life in the lap of luxury! Capt Dave and Chef Ellen on Island Girl, 47ft Lagoon cat took us off for 7 days extraordinary sailing and living, aboard a comfortable vessel with super fresh cuisine. We loved the privacy, the quiet anchorages, local fishermen, the dawn kayaking to spot great heron, feeding pelican and kingfishers, the noon snorkelling with spotted eagle rays, nurse sharks and cassiopaia jellyfish we had never even heard of, the 'other' blue holes, some of the best most populous coral heads ever, and on our last day, close encounters with manatees. Both crew were utterly devoted to our enjoying the holiday and we felt completely and exquisitely indulged. Unreserved recommendations all round. We had an awesome family vacation for our 20 year wedding anniversary (--June 24th--). Our crew was Rufus & Kate Brand. They were the absolute best! 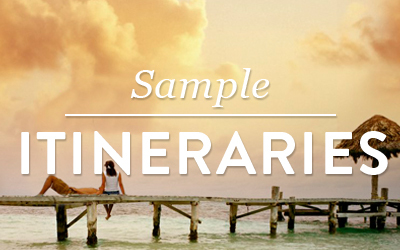 We have done charter trips in the past --BVIs-- and knew what to expect. These guys went over and beyond! They even coordinated a wonderful beach barbecue on the day of our anniversary where my 3 boys and I surprised my husband with special words about our marriage & family. It was beyond special! Belize is beautiful but what matters is who you spend the time with on your vacation and these guys entertained us and especially the boys! My oldest got a sailing lesson which he thoroughly enjoyed. I highly recommend BSV and ask for Rufus & Kate! They make the company shine! Happy Sailing!!! My husband and I spent 5 nights on the Holycon with Captain Matt and Ellen to celebrate our 30th Wedding Anniversary. It was truly an amazing experience. The professionalism yet fun attitude of the crew made for a great experience. The food was absolutely fabulous, we always had a drink in our hands and the snorkeling locations were out of this world. On our last day of snorkeling we came across 2 mega manatee which swam right by us and back again. It was surreal and Matt our captain seemed as excited as we were. We would highly recommend this charter service - everything was wonderful. 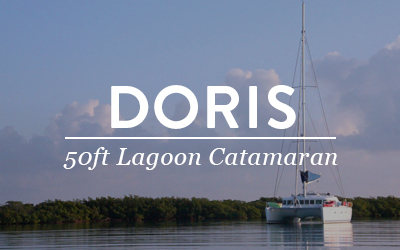 We spent 5 wonderful nights aboard Doris touring the Belizean islands and loved it. This was our first time to take such a trip and we would definitely do it again. The boat was nicer than we expected and the service was top notch. Jesse was a great captain, who obviously knew what he was doing, and he acted as our tour guide whether it was introducing us to great little islands, leading us on great snorkel ventures, taking us around in the dingy or pulling the kids in tubes with the dingy. Kainie was an awesome cook who clearly had read our pre-trip requests given our picky kid eaters. All of the meals were great and exceeded our expectations. 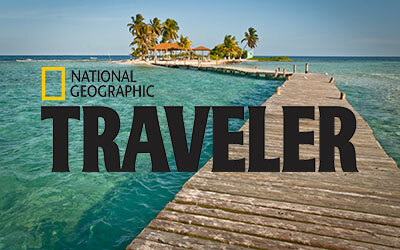 I would highly recommend this experience to anyone looking for a full service trip where you can just spend quality time together and not have to think about where to go, food preparation, or any other trip hassles. Great times. 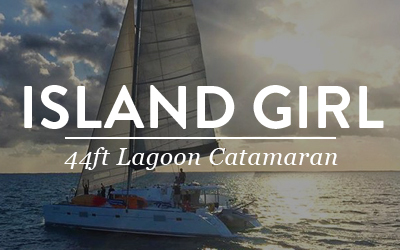 We had a wonderful time on our 4 night charter on Island Girl. The boat was well maintained and Captain Dave and Sarah made us feel welcomed right away. Dave is knowledgeable and was willing to share tells of his adventures with our eager group. He kept us safe and well taken care of. Sarah, our first mate and chef, was also extremely knowledgeable not only about the food but also about sailing. She could certainly charter her own boat! The food was excellent and it was fun surprise to see what we'd be having at each meal. Both Dave and Sarah helped us spear fish, snorkel, kayak and paddleboard. There were plenty of activities to keep us busy. One note - the wifi on board was spotty, at best. This didn't severely impact our trip, but just something that's good to know if you require constant connectivity. 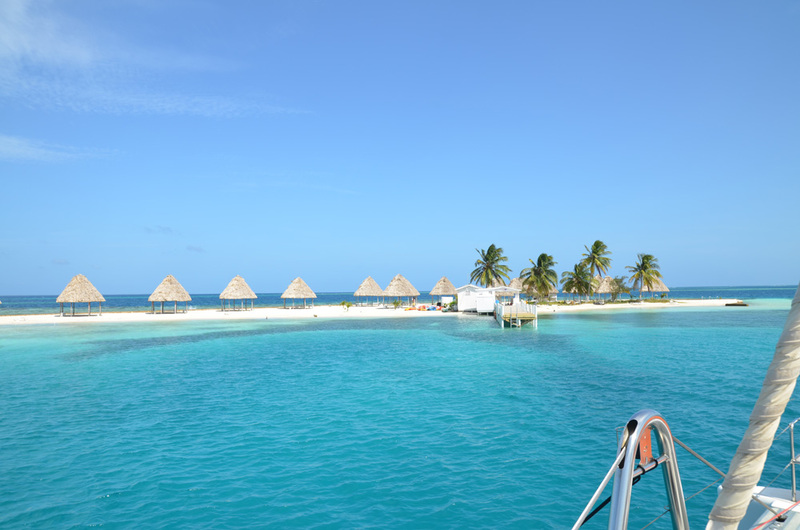 This was our first time chartering a catamaran and Belize Sailing Vacations made the booking process easy. I'd certainly recommend them and we will definitely be repeat customers! Thanks, Dave and Sarah! Booked 6 nights to sail and snorkel the barrier reef: it was superb! Captain Danny knew all the best spots to see healthy coral and beautiful fish, and is a fabulous spear-fisherman to boot. (5 snapper in 30 mins!). His fresh lobsters and fish were delightfully prepared by Chef Sarah with artful & delicious Caribbean flavors. And her desserts were amazing! We had a great time, but the real test of any trip is how the Captain and Crew handle changes of plans or interruptions. 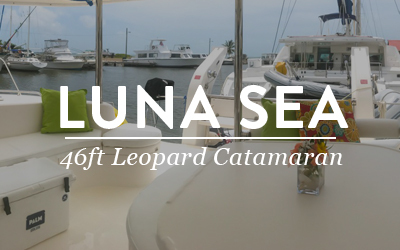 Fortunately, we had no major issues on the lovely Luna Sea catamaran. But Danny really proved his mettle by finding a great hide-out marina when weather threatened, aiding his fellow captains who needed assistance, and repairing a minor AC matter. He knows the waters, the local fishermen, and all the flora/fauna /local history. The mood was always upbeat, but safety was elegantly built into all activities. 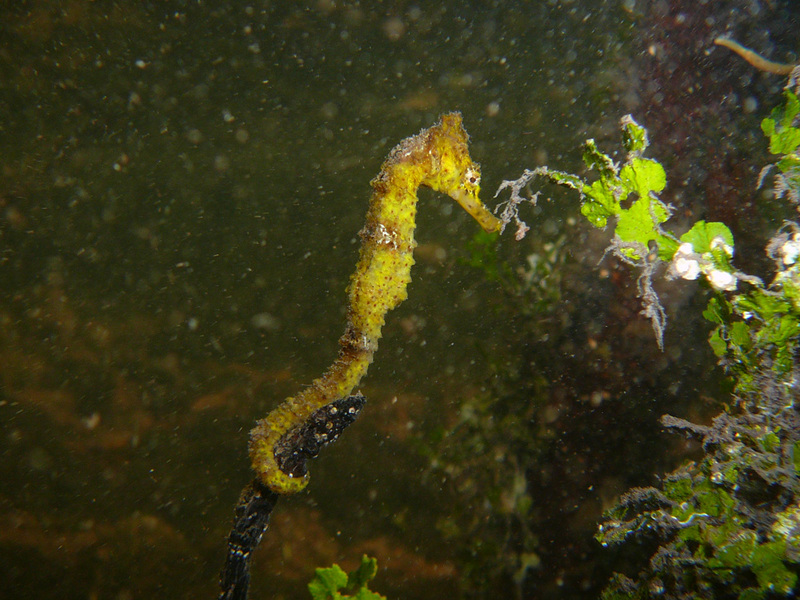 We're good swimmers, but they always joined us snorkeling until they were sure we were comfortable with the currents in any location. We had some special needs (extra AC, balance issues, etc), and they accommodated wonderfully. 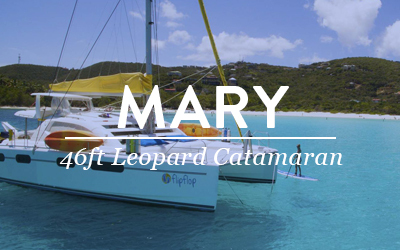 Reservations are easy, trip is personalized, catamarans are shiny clean & well maintained: just do it! Our law firm scheduled a retreat for 8 of our senior attorneys and decided on this company to charter a boat and crew. 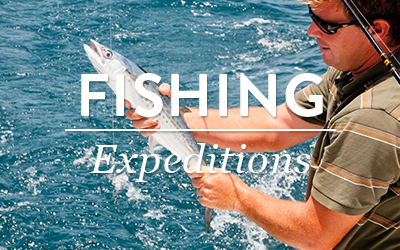 We had no previous experience with overnight private charters. We planned to spend half our days in planning meetings and half our days playing. Our included transportation from the airport was on time and helpful. The moment we arrived at the marina, we met Captain Jesse and Hostess Kainie. The boat was beautiful and everything that was promised, but I can't emphasize enough that this trip turned into a perfect 10 because of the staff. Jesse was fun and laid back except when he needed to be on point and safe. Kainie prepared the most incredible meals. They were healthy and exciting and seemed to appear at just the perfect time. We would be in the middle of meetings and hot homemade muffins would just appear out of nowhere. The crew knew when we needed private time and joined us when we wanted to laugh and drink. Within the first day, these two were our friends and not the crew. They helped us select stops and we invited them to join us at a dinner one night in San Pedro. We swam with sharks, hung out on a beach, and laughed so hard we cried. By the way, they didn't ask us to write a review so this is as real as it gets. If I had to give a complaint, the bathrooms/showers were a bit small, but again, we had never chartered a catamaran so we just didn't know what to expect. Kainie kept the boat incredibly clean 100% of the time. She would serve us this incredible food and we would go back inside and our rooms had been made up. I'm not sure how they did it. We are planning on going back and doing the entire trip again. I'm sure they are in high demand, but if Jesse and Kainie are available, they are the best of the best. Jesse always had security under control and we never had anything shocking happen at any time. Kainie never stopped smiling and even allowed us to borrow her clothes in a pinch. If we could give more stars, I would.